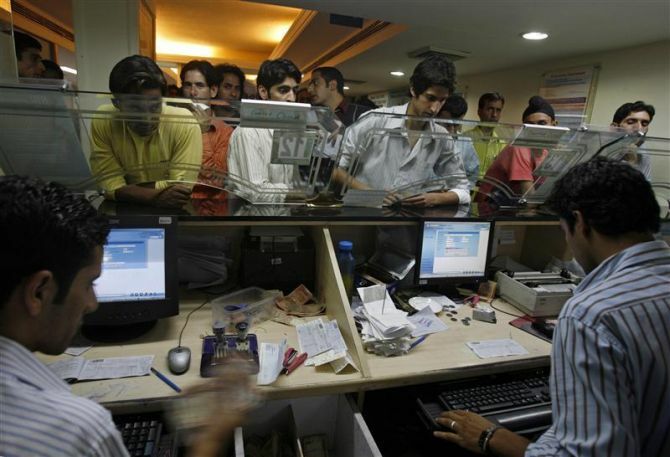 The government is likely to start selling its stake in public sector banks (PSBs) in November. It is also expected State Bank of India (SBI), India’s largest lender, will tap the markets this year. Financial Services Secretary G S Sandhu on Thursday said the government would seek a Cabinet nod for stake dilution in PSBs, adding the sale would be in tranches, based on banks’ requirement of funds. “It will be a combination of follow-on public offer (FPO) and, in some cases, it will be through qualified institutional placement. It may start around Diwali, most likely November,” he told reporters after a meeting with the heads of PSBs and other financial institutions. Asked whether large banks such as SBI and Punjab National Bank (PNB) would opt for fund-raising through public offers this financial year, he said this was a possibility, as these entities needed funds this year. He added banks that needed funds the most would tap the market first. The Centre holds 58.60 per cent stake in SBI and 58.87 per cent in PNB. Its shareholding in other PSBs varies between 56.26 per cent and 88.63 per cent. As banks have to meet Basel-III norms by 2018, it is estimated they will need Rs 2.4 lakh crore (Rs 2.4 trillion) by then. The finance ministry has said the Rs 11,200-crore (Rs 112 billion) Budget allocation for recapitalisation of PSBs will not be enhanced. In his Budget speech, Finance Minister Arun Jaitley had said while preserving the public ownership of these banks, capital would be raised by increasing the shareholding of people in a phased manner. The finance ministry has appointed SBI Capital Markets to carry out a study on mergers and recapitalisation of PSBs and it is likely a report on the matter will be finalised within a month. “No formal decision has been taken (on bank consolidation) but there are many suggestions. One, of course, is SBI, with one of its subsidiaries. We are working on that. It is a very slow process,” Sandhu said. In 2008, SBI had merged State Bank of Saurashtra with itself. Two years later, it merged State Bank of Indore with itself. Now, SBI has five associate banks — State Bank of Bikaner & Jaipur, State Bank of Travancore, State Bank of Patiala, State Bank of Mysore and State Bank of Hyderabad. Sources said there was a suggestion to merge United Bank of India with IDBI Bank, but added no decision on this had been taken. Both the banks have denied talks of a merger. Sports Shorts: Muhammad Ali's gloves worth $400,000!